An aneurysm is characterized by a widening of a blood vessel, usually an artery caused by a weakened arterial wall. 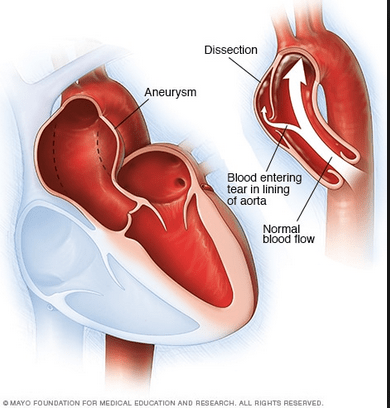 An aortic aneurysm is a swelling on the aorta that can progressively increase if left unattended to. The biggest artery in the body is the aorta. Its extent is almost as much as that of a garden hose. 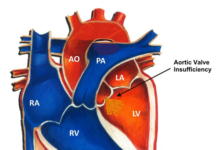 The left chamber of the heart ends as the aorta which curves below and passes from the chest region to the abdomen. At the abdomen, it divides into much smaller vessels that send oxygen to other parts of the body. The aorta is responsible for systemic circulation. It distributes oxygen to all body systems. An aortic aneurysm starts as a small swelling but it may become fatal if not treated. Screening for an aortic aneurysm can be done for those that are highly susceptible to developing it. It may be symptomless during the early stages. As they increase in size, they can cause pain in the abdomen, back and, chest. Majority of cases are not noticed by the patient and diagnosis is accidentally made during a routine medical checkup. 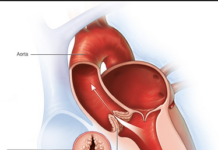 An aneurysm results from a weakened vessel wall so anything that makes the aortic wall to be weakened can eventually cause an aortic aneurysm. Normally, the aortic wall is elastic and can expand to accommodate blood circulation changes but with an increase in age, the aortic wall may be weakened by high blood pressure, smoking or even high levels of blood cholesterol. This weakened site in the aortic wall starts to swell and the bigger it gets, the higher the chances that it will rupture. In an eventuality where the aneurysm ruptures, internal bleeding will occur massively and can lead to death if not treated at that moment. Two main types of aortic aneurysms exist namely thoracic aortic aneurysm and abdominal aortic aneurysm. It is a swelling in the part of the aorta that runs in the chest region. They are further classified into the ascending or descending type, based on their particular location in the aorta. 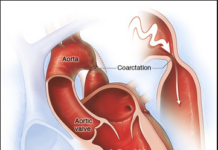 Thoracic aortic aneurysms are commoner in those with congenital aortic Valvular disease or in those that have other tissue and vessel wall diseases such as people with Marfan’s syndrome and Ehlers-Danlos syndrome. The thoracic aorta can also be weakened by an injury to the aorta that occurred during sports or other traumatic events like a car accident. It is a swelling in the part of the aorta that runs in the abdomen. They are commoner than thoracic aortic aneurysms. It occurs more in people who have a past history of smoking, those with thickened arterial wall e.g. in atherosclerosis, those with hypertension and those who have a family history of the disease. Magnetic resonance angiography (MRA): magnetic resonance imaging of blood vessels. For adults greater than sixty years or people with a family history of aneurysms, screening is necessary as it is prophylactic. 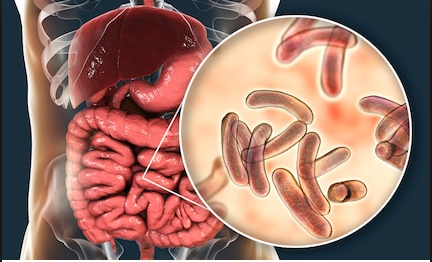 In the early course of the disease, treatment may not be needed. A small sized aneurysm is usually monitored by a doctor for any increase in size or symptoms it may produce. If it poses a health risk, the advice is usually to go for surgery before it ruptures. The surgery that can be done to correct an aortic aneurysm is either an open surgery or an endovascular surgery. This is an invasive procedure. The chest or abdomen is incised to expose and get rid of the diseased aortic part and replacing it with a graft. It may take few weeks before one recovers following surgery. This is less invasive than the open surgery method. A catheter is passed from the femoral artery located around the hip to get to the damaged aortic portion. A tiny graft piece is put into the damaged part and hooked to the aorta. This serves to reinforce the vessel wall to avoid a possible rupture. This particular modality has a recovery time that is shorter, usually in days because it is less invasive. Prophylactic treatment for conditions that may further weaken the vessel wall should be instituted such as high blood pressure control. Exact measures for prevention of aortic aneurysms do not exist. Cardiovascular health generally can be improved by lifestyle modifications thereby limiting the occurrence of aortic aneurysms. Limit the intake of salt, fatty foods and sugar.